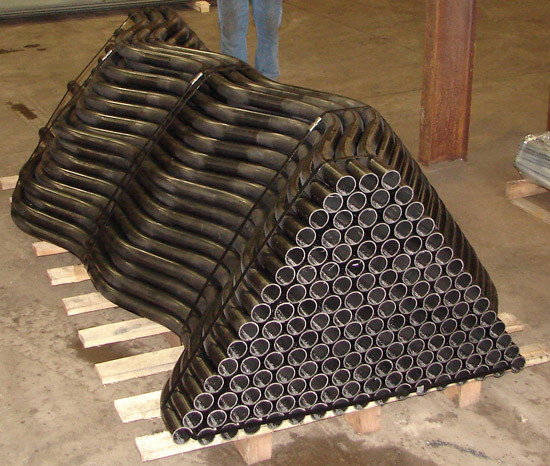 Linders Specialty Company has tooling for many commonly available sizes of pipe and round tubing. 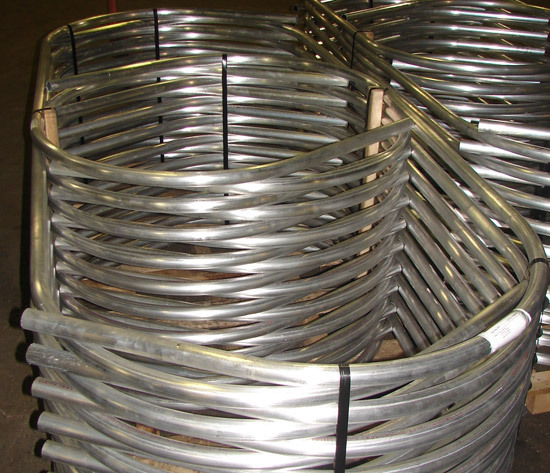 We can roll single radius parts as well as combined radius parts such as elliptical sections, coils and spiral hand rails. 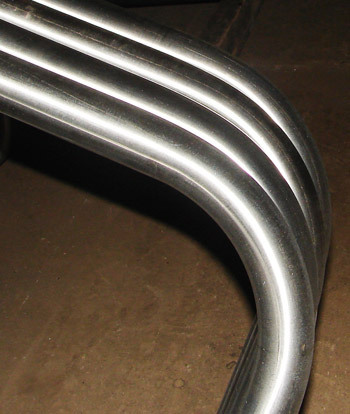 We have developed mathematical calculations that allow us to layout and bend spiral and curved stair rails quickly and accurately. 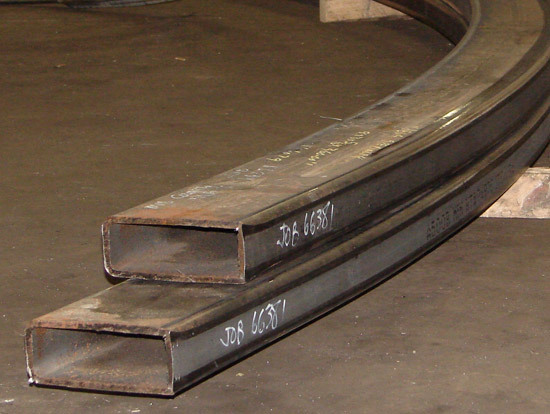 Provide us with the plan diameter, degree and direction of turn and total rise of your stair and we will produce your pipe and round tube rails. 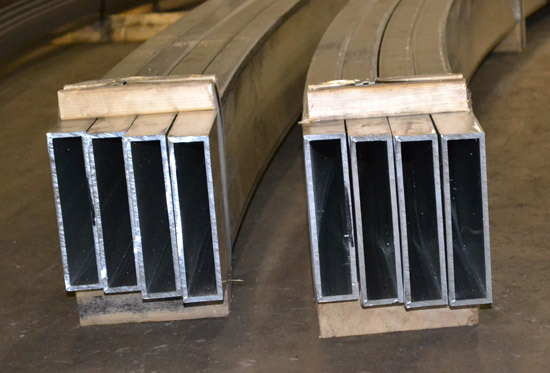 Linders Specialty Company is tooled up to bend a wide variety of square and rectangular tube sections. 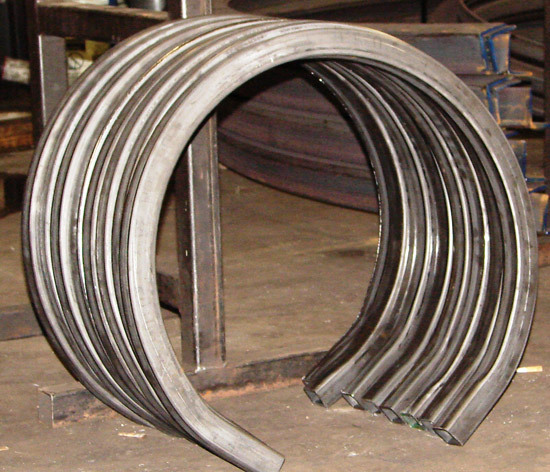 We have designed our tooling to support the corners of the tubes to reduce deformation during the roll bending process allowing tighter roll radii. Linders Specialty Company uses our Ercolina electric manual rotary tube and pipe bender to produce your parts economically. The setup is quick and repeatable, accurate parts are easy to achieve and short run economy is easily achievable. 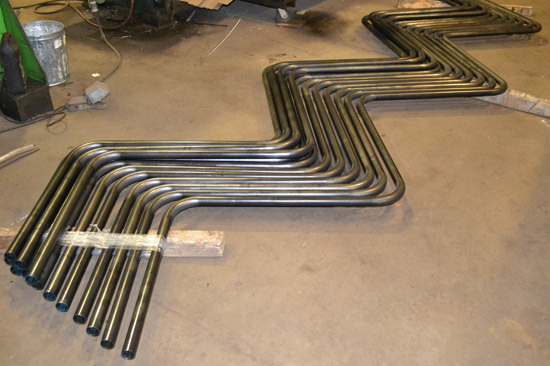 We can bend your hand rails, pipe ladders and other parts to eliminate welding and grinding elbows saving enormous costs and shortening lead times dramatically while providing better looking parts. 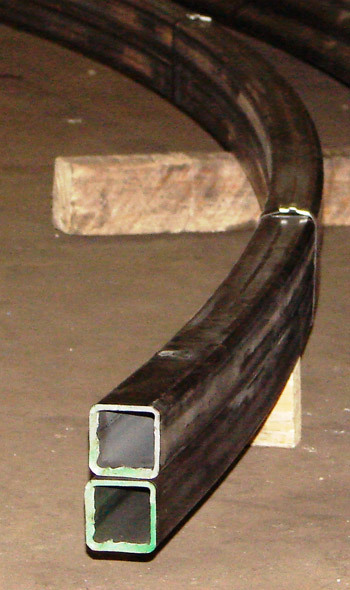 We can bend pipe and tube to match your samples such as high-pressure hydraulic piping for quick turn-around in the event of a failure or plant shut-down repairs.